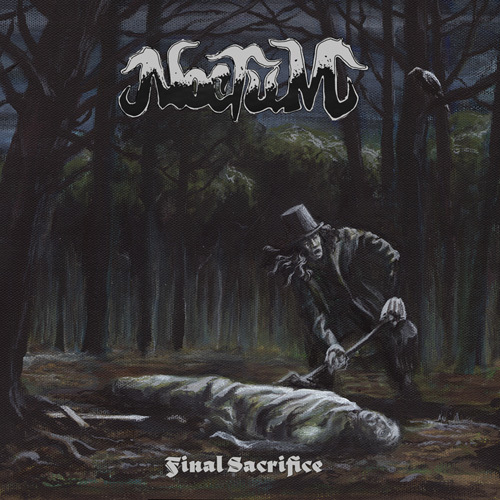 NOCTUM have just released their highly anticipated album Final Sacrifice via Metal Blade Records. Final Sacrifice is a fictional horror story where each song communicates a portion of the overall narrative. With that in mind Bloody-Disgusting, the online home for all things horror is hosting an exclusive full album stream of Final Sacrifice. Accompanying the album’s premiere, members of the band have taken each song and dissected them providing their own narrative on the tracks and how they were influenced by and could relate to classic horror films. Listen to the stream, which will only be up through this Monday and check out the bands track-by-track breakdown HERE. Final Sacrifice is available for ordering at http://www.metalblade.com/noctum. A lyric video featuring live footage captured by Johan Bengtsson for the song Temple of the Living Dead can be viewed HERE. Final Sacrifice is an analog piece of art in both audio and visual aspects. The cover art was painted by Timo Ketola (Sunn o))), Arktau Eos) and fits perfectly with the album’s raw, natural sound. NOCTUM’s search for original and interesting material led them to a heavier and darker sound then their first release. The progression came very naturally for the band and differs from the typical 70′s vibe. Final Sacrifice evokes heaviness and emotion one might not expect from a “retro” sounding band.